A true traditional pub with live music, pool, darts, sky sports & good banter. We are located in the centre of Wigan on close hand to the DW Stadium the home of Wigan Warriors and Wigan Athletics, train stations, shopping, Wigan Market and the famous Uncle Joe’s Mint Ball factory and Wigan’s night life. 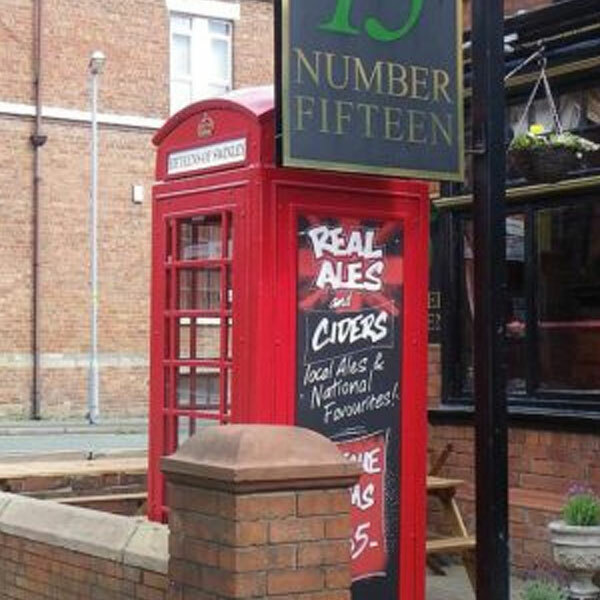 Fifteens Swinley is both pub and boutique rooms, selling some amazing local brewed cask ales and the odd national favourites, fine wines and some chilled continental lagers and ciders. A true traditional pub with live music, pool, darts, sky sports & good banter. If you cant get to one of the games at the DW Stadium, you can watch all the Wigan matches right here and all other major matches. Fifteens Swinley Boutique Rooms featured on the Channel Four programme Four in a Bed in 2012, the locals and regular visitors to Fifteens Swinley loved the experience, good fun! ‘Human Jukebox’ Andy Mack joins us on the 13th April at 9pm for an evening of all your favourite tunes! Come join us! © Fifteens Of Swinley 2019, Eclectic Style Hotel & Pub.